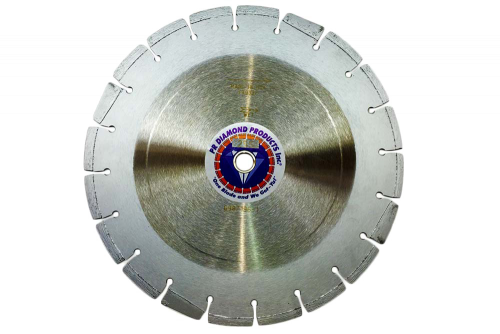 255 Series Asphalt Cutting Blades are a supreme quality wet cutting asphalt or green concrete blade. 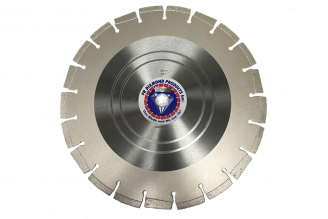 This wet blade has a hard bond to give maximum life while cutting asphalt or green concrete. It is designed to be used on 8-18 HP walk behind saws. With high grade diamond 38-40% concentration full length segments and drop segments, you will get a faster cut, maximum life, and prevent undercutting. For wet cutting, our 255 series will result in minimal cutting cost and be a real labor saver. You'll love it! 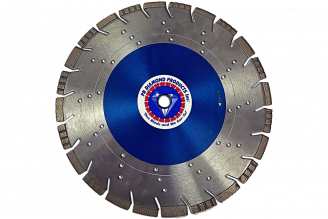 Available in 12" - 60" diameters.